We are happy to announce on a collaboration with a great publisher who make great books - C&R Press. Committed to supporting new and emerging writers whose work might otherwise be ignored by traditional commercial publishers, C&R Press publish imaginative, diverse books of literary excellence, mentor writers and publishing professionals, and engage new audiences in the essential tradition of literature. Through this collaboration, authors that publish with C&R Press will be able to plant 100 trees for the title they publish. These authors will also have the option to add a special "100 trees planted for this book" logo to their book's design, as a way to showcase their commitment to environmental sustainability. Here are the two first books that take part in the new program. 100 trees will be planted for each one of them! The old securities everywhere are gone; identities are switched and tried on and abandoned faster than ever; the media landscape saturates individual consciousness, and makes lies out of centuries of tradition and heroes of plastic idols. 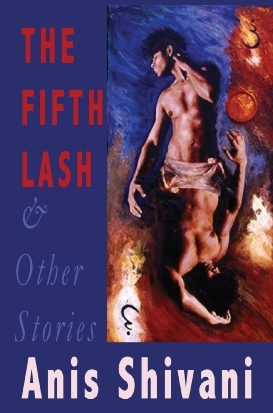 The Fifth Lash and Other Stories daringly enters this phantasmagoric cauldron, where appearance and reality have seamlessly blended, to complicate the picture even further, to turn all we think we know about Islam and Pakistan on its head. The “truth” will never set you free, is the ironic signature of the original voice defining this collection. Some of the stories in this new collection have appeared in turnrow, Nimrod, Phoebe, Other Voices, Asia Literary Review, Confrontation, Crazyhorse, and other literary journals. You can buy the book on Amazon or directly from C&R Press. No "Parent Instruction Manual" prepares you for this--the news that your son is dying halfway across the world. But that's the news Robert Dixon received while working in Shanghai, China. This is his story, told as only a father could tell it. Look Forward is the harrowing account of how 34-year-old Bobby Dixon survived a motorcycle accident that left his body hopelessly shattered. None of the first responders thought he'd survive the ambulance ride. None of the ER doctors thought he'd survive the night. No one ever thought he'd wake from the coma. But with the skill of the first responders from Worcester Fire Station 11 and the amazing commitment of the UMass Medical Center, Bobby lived, despite the odds. His hope? To one day walk again. 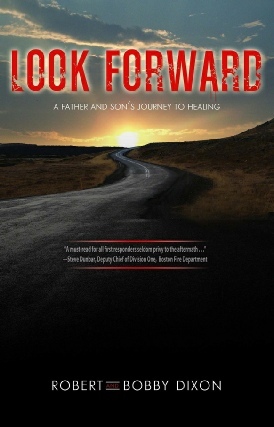 Look Forward is the true story of how Robert Dixon and his son overcame unfathomable adversity together. It's a chronicle of courage, commitment, self-exploration, and faith. What they learn along the journey is how a fragile relationship between father and son can become the most unbreakable of bonds. Bob Dixon entered that United States Air Force in 1970 at age 18. When he left it in 1978, he spent the next 14 years in night school to earn his Associate's and Bachelor's degrees. Along the way, he worked for Honeywell and other major corporations as an employee or consultant in supplier management, global sourcing, and quality. In December 2010, Bob founded The Military Civilian Career Coaching Connection (MC4), a LinkedIn group that partners pro-bono coaches and mentors with U.S. military veterans to help them successfully transition into civilian careers. You can buy the book directly from C&R Press.